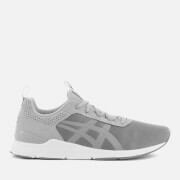 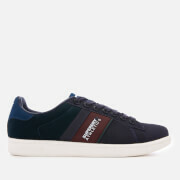 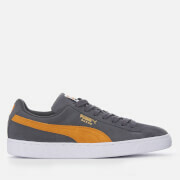 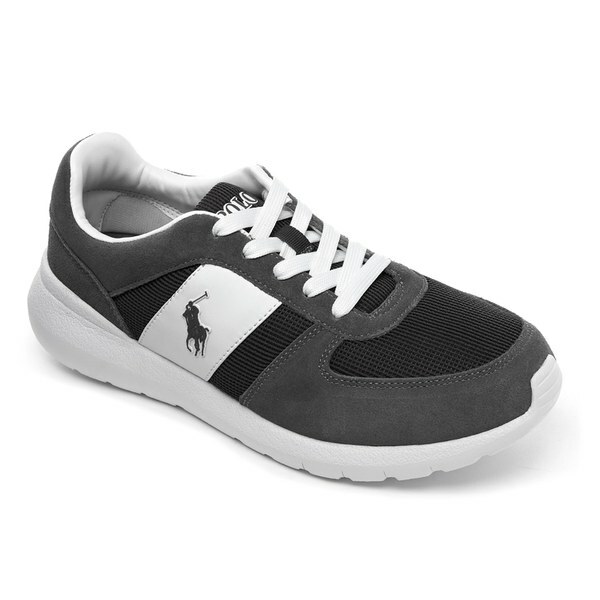 Men’s ‘Cordell’ grey suede trainers with breathable mesh panels from Polo Ralph Lauren. 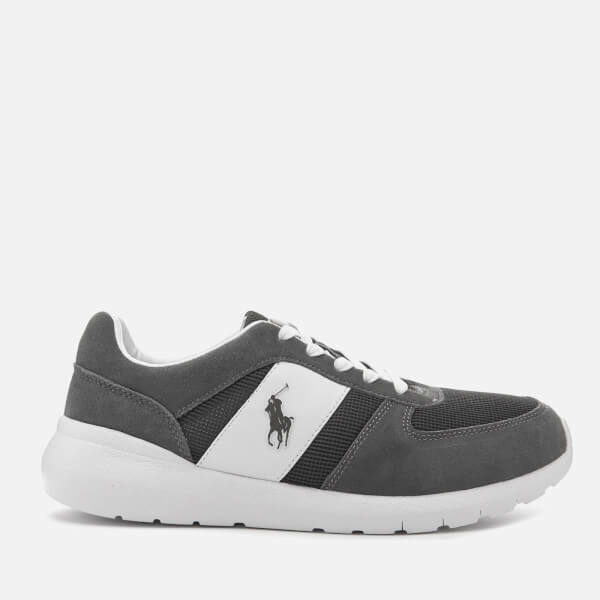 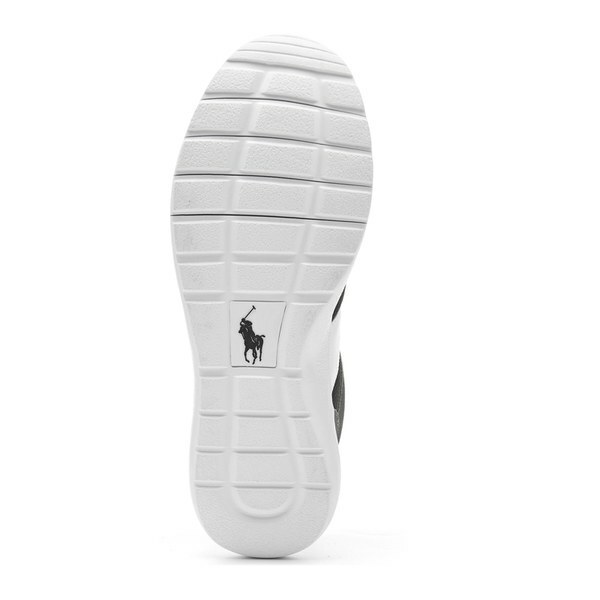 The lace fastened sneakers feature a white leather stripe to the outer side with the iconic pony logo, rubber ‘Polo’ branding on the tongue and a padded ankle collar for comfort. 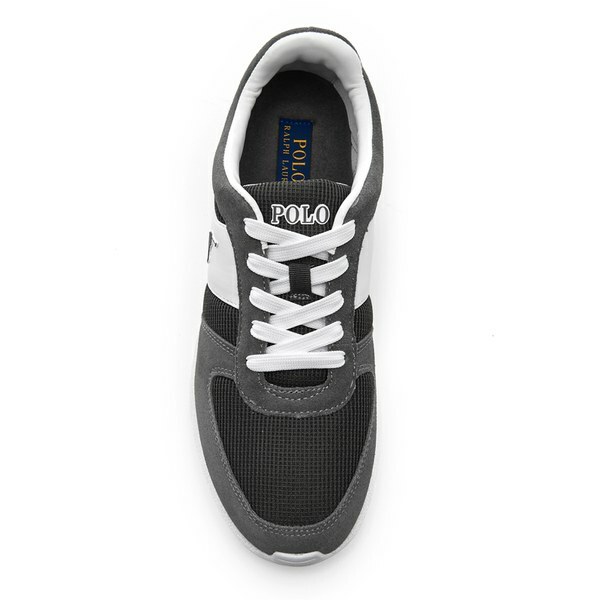 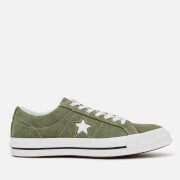 Complete with a lightweight EVA treaded outsole that offers a cushioned ride and a padded canvas insole.